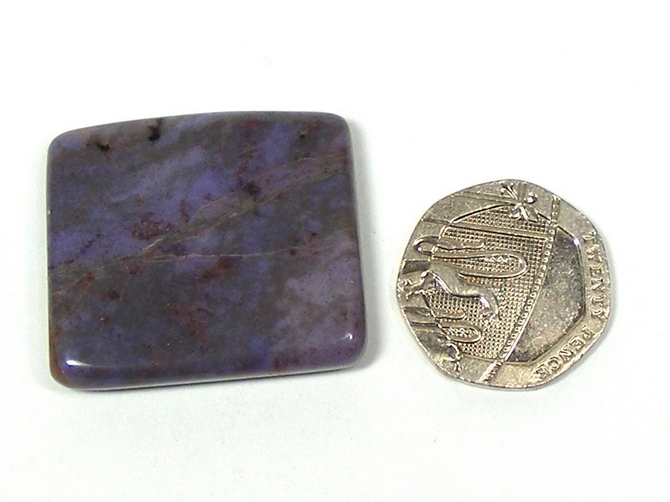 Purple Jade is a relatively rare stone and this is a wonderful slice cut from Purple Jade mined in Turkey. 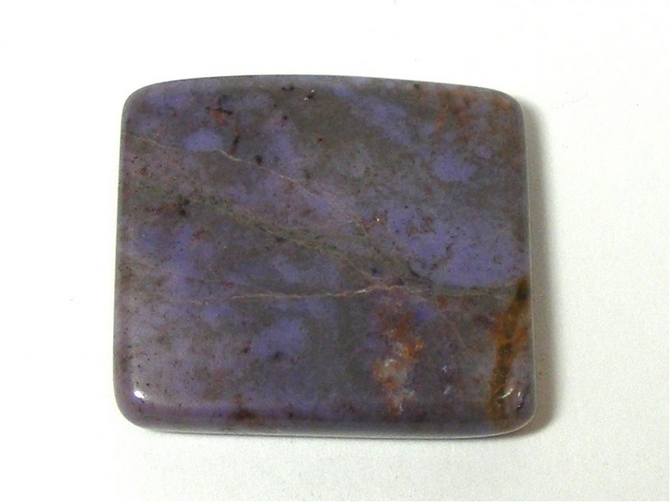 Purple Jade has an overall mottled effect and shows small cream coloured areas with tan or light brown patches on a background of purple. You don't notice these colours straight away, to begin with it looks purple as you'd expect from the name, but as you look closer the subtle patterning becomes more apparent. Purple Jade helps us to be more at peace with ourselves and is useful for those who need to "lighten up". Purple Jade is believed to be beneficial to the nervous system and is also thought to help those who are suffering from hives, skin rashes or outbreaks brought on by stress. Purple Jade helps us to feel more at peace with ourselves and with the world. It's an excellent stone for dispelling negativity and filling us with feelings of joy and happiness. It helps us to experience the essential joy of life, of being alive, and is especially useful for those who need to "lighten up" and relax more into the simple pleasures of life. Purple Jade also helps us to be more in tune with the energies of others around us which means that we can offer a much more sympathetic response to people and to situations. Purple Jade helps to connect us with the angels, guides and teachers who will be the most beneficial to us on our spiritual path. It is a highly spiritual stone and one that not only helps us along our path, but one that stops us becoming bored or discouraged with spiritual practice. It helps us to see and to appreciate the perfection of all things in the divine order. Purple Jade is an excellent stone for psychics and for healers helping as it does, to open and clear the upper chakras (third eye and crown) and the lowest chakra (earthstar) thereby keeping us grounded while we become spiritually more open and receptive. Purple Jade also helps us to better connect to the natural forces of nature and to the devic energies too. It enhances visions, extrasensory perception (esp) and helps us to remember our dreams.